Content Delivery Network (CDN) consists of a network of distributed servers. This is used to speed up the delivery of web content to users. The purpose of CDN is to solve an issue called latency. Latency is the delay that occurs between sending a request to load a web page and when the page loads in the browser. There are many reasons for this. And the major one for it is the physical distance between the user and the server. When the distance between the server and user increases, latency will also increase. CDN tries to reduce this physical distance virtually and therefore reduce latency. 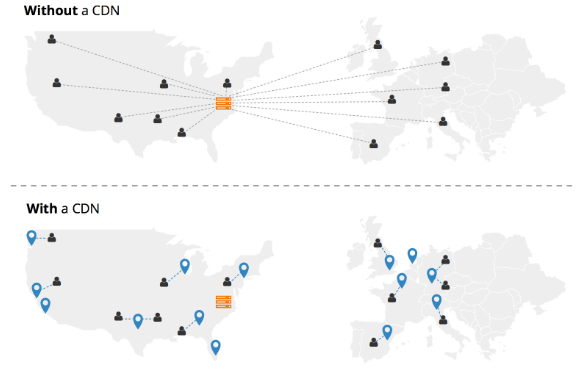 To reduce the physical distance, CDN stores a cache of your site on servers (point of presence – POP) around the world. And each POP delivers content to visitors near to it. Consider a situation where the server is in Australia and the visitor is from America. The server in Australia loads the pages. This is without using CDN. However when CDN is used, the server in America loads the pages. Hence page load speed decreases nearly twofold. If your customers are around the globe then having a CDN will definitely improve the website speed. Also, CDN is a must for eCommerce, online gaming, and media websites. 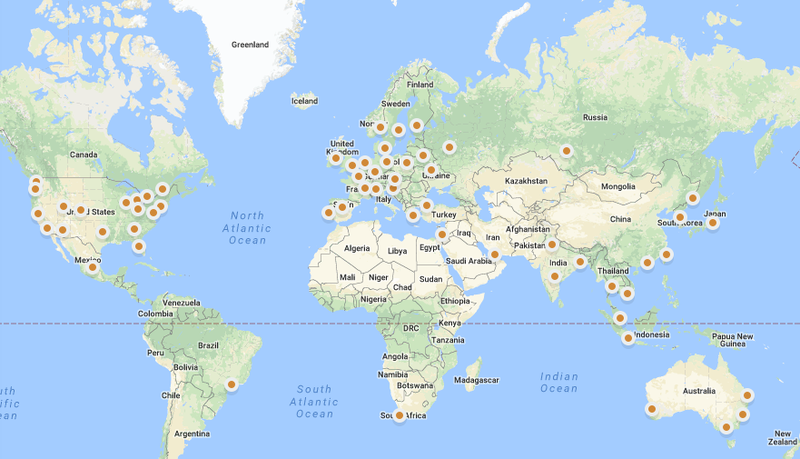 If you are running a localized website and all your customers are at the same location of your server, then having a CDN will slow down your website. Aspiration CDN can improve the loading speed for your website across the whole world. Our CDN relies on a global network of high performance CDN PoPs with over 50+ cities across six continents. Therefore your visitors will experience excellent loading speed with Aspiration CDN. FREE Aspiration CDN is included in our Cloud Web Hosting plans and also Dedicated Cloud Server. So you don’t have to spend your money to buy additional CDN.